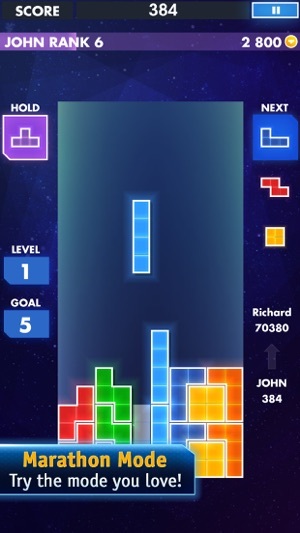 I have loved Tetris since I was little, and played it on many different gaming systems. Getting used to the controls took some time, but after awhile it becomes fairly second nature. 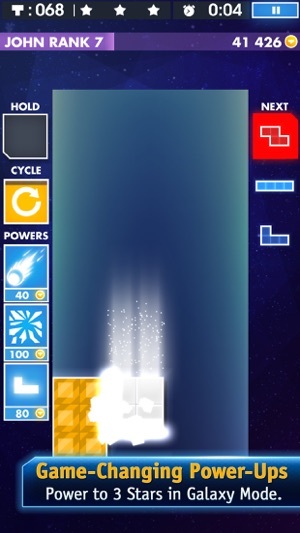 Some of the moves are a bit funky, but for a Tetris game on the phone it works. The problem I have with this game begins at level 24. It is at this level that there are random hard drops. (This is where the piece drops straight down and is immediately “stuck” in place.) If you can make it through to level 25, the random drops only become more frequent. Many of my games end after 3+ hard drops in a row. I understand that this is a way to increase the difficulty, but it is frustrating none the less. Update: all my game data is gone. 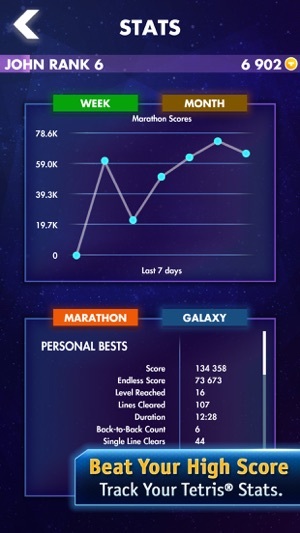 I had over 100k coins, and consistently scored above 2.5 million. All of that data is now gone. I will continue to play this game, but it solidifies the impression that EA is a terrible company. I hate the latest update. It requires you to use a slider to enter your age every time you play. It is difficult to get on the exact age number and would be better to just have people type their age! Also, I think there should be an option to save your age if you are the only one using your phone. I understand the reasoning behind entering every time if multiple people are using a tablet or something but it’s inconvenient and annoying to most people who are sole users of the device! The other problem with the update is that it now requires wifi or cellular data to play! This is my biggest issue with the update and causing me to play way less often. It was my go-to game for airplanes and waiting rooms because I didn’t have to waste data. I loved playing and it’s really frustrating that I cannot play without using cellular data or wifi. My last plane ride I had to try out a new game because I could not access this one on airplane mode! This application has become useless for more than 3 years now. Wish💭it would play like Tetris Blitz. 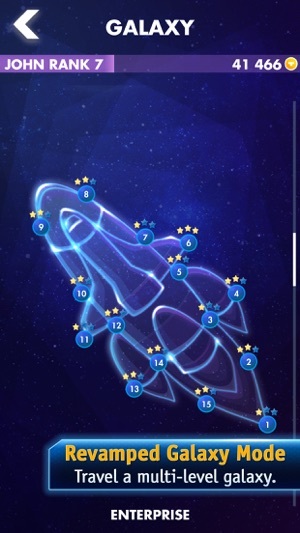 Dislike the Galaxy 🌌 feature puzzle thing, always thought 💭 of it as junk. In- app purchases does not work. Why?🤷🏻‍♀️ Could not even restore what I previously purchased either. Wish💭we could have ghost 👻 graphics & be able to customize background or something. Please🙏🏼 EA, be so kind to update application? Would be nice to have the ghost 👻 graphics like The Blitz version. The current glowy ghost 👻graphics on this application is hard to see. Thank🙏🏼 you in advance. Please update glitch, EA. When I place tetrimos, they go another direction where I did not tap. Much appreciated in advance. Please🙏🏼 make an update w/ the Mario Bros Tetris DS skin for mobile platforms.? Still love💘 the game, but it seriously needs an update. Adding the Tetris DS Mario Bros. edition would keep me playing non-stop. Would happily purchase these skins for the game. Thank you in advance. 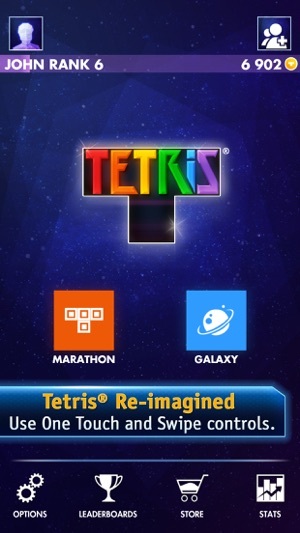 Please include Retro Tetris. Would be fun to be play classic Tetris in Gameboy skin. Thank u in advance.